Really, there are no secrets in business – but John D. Rockefeller knew how to build businesses that threw off large amounts of cash. Take for example, Standard Oil a true “Cash Cow” that paid out over 60% of it’s income in dividends. 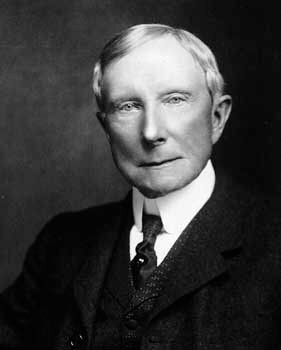 It was that cash flow that made Rockefeller a very wealthy man. As you’re kicking back – relaxing and enjoying some time off this weekend, I thought I’d share this quick video put together by John Dobosz over at Fortune Magazine. If you’re new to dividend investing it’ll give you some basic ideas for places to look for income, from the Dogs of the DOW to REITS and MLPS as well as the utilities and telco’s like AT&T and Verizon. Enjoy the rest of your weekend and I’ll talk to you again next week! Dow Falls Almost 300 Points – Worried Yet? I’m Not.